We are pleased to offer our state-of-the art Laser Skin Rejuvenation to improve vascular and pigmented irregularities while tightening and improving wrinkle lines by building new collagen in your skin. This is a revolutionary skin treatment using multiple laser wavelengths to destroy capillaries, facial veins, and sun/age spots. We then “paint” over the entire skin surface with a combination of lasers to improve the texture and smoothness of the skin. The rejuvenation procedure is most often performed on the face and neck, but the chest, hands, arms and legs can be treated as well. 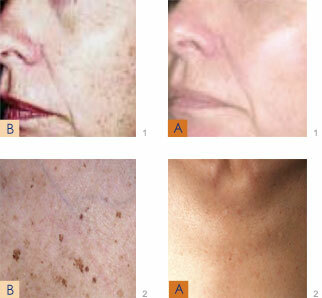 Laser light is absorbed by pigmented areas where it is converted to heat, causing a breakup in the pigment. 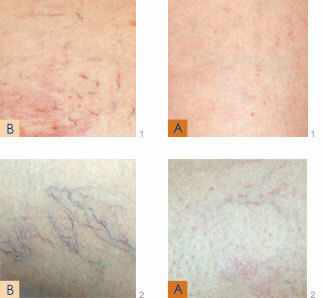 In broken capillaries and spider veins, the laser energy is absorbed by the pigment in the blood and collapses the unwanted vein. 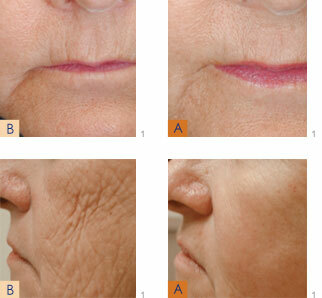 Dr. Gardner will design your skin rejuvenation specifically for you and your individual need. A typical facial rejuvenation process takes 30 to 45 minutes depending on the number of lasers used. Some effects are immediate, others are cumulative. After your treatment you will see improvements to broken capillaries, small facial veins and some pigmented areas immediately or within a few days. Other improvements, such as tightening and wrinkle control, will be noticed gradually over 2 weeks to three months. Friends may suggest that you look more rested or just look “healthier”. With subsequent treatments, these changes will accumulate until you have achieved the improvement you desire. Immediately following the procedure you may experience some redness, swelling and/or a slight darkening of pigmented areas. The redness and swelling usually dissipate within one to three days; however, darkened pigmentation may persist and peel lightly for up to one week. Makeup can be applied to the treated area immediately, if necessary. Additionally, hair growth may be impaired in the treated area, although it is not the intended purpose of this particular treatment. It is extremely important to wear SPF30 sunblock and avoid sun exposure on a daily basis to reduce any potential side effects. You should avoid sun exposure for one week prior to the treatment. This treatment takes approximately 30-45 minutes. Prescribed topical anesthetics should be applied 30-90 minutes before the treatment time if needed. We provide this for you.